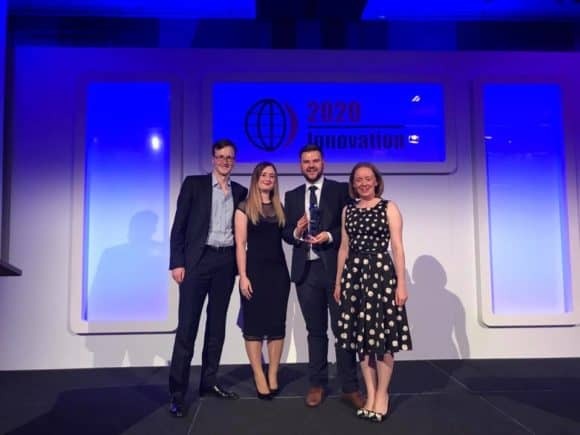 EQ Chartered Accountants, which has offices in Dundee, Forfar, Cupar and Glenrothes, was hailed the ‘Most Innovative Large Firm’ at the 2020 Annual Innovation Awards. The award was presented to EQ Managers Rachel Bell, Scott Greig, Sarah Millar and Michael Stephenson at a gala dinner in Birmingham last night (Thursday 19 October 2017). David Cameron, Managing Partner, EQ commented, “At EQ, we believe in constant improvement, both to the service we provide to clients and the investment in our staff. It’s fantastic to be recognised for this on a national level in the presence of our peers.